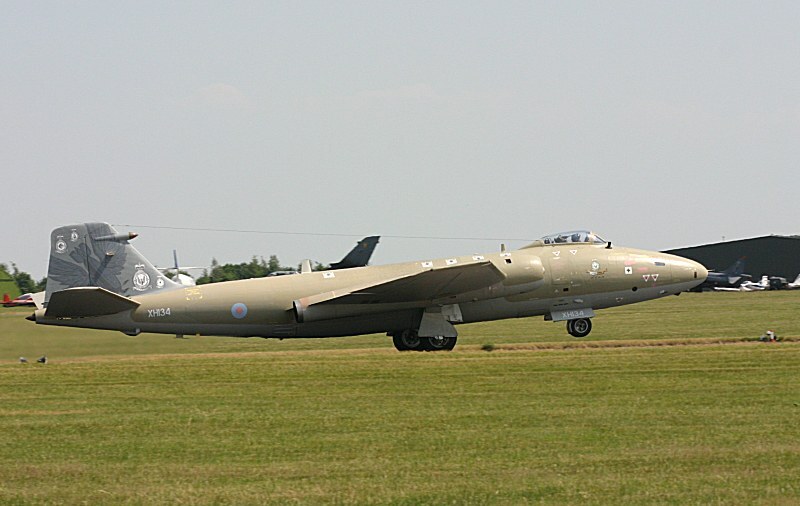 At 11:58 on Monday 31 July 2006 a 39 Sqn Canberra PR.9, XH131, touched down on the runway at Kemble Airfield bringing to a close an illustrious era in the history of the RAF, an era that began on 25 May 1951 at RAF Binbrook. 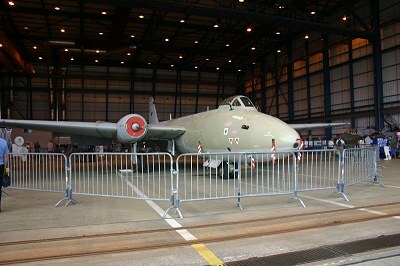 After 55 years of sterling service world-wide with the RAF the Canberra had at last been retired. 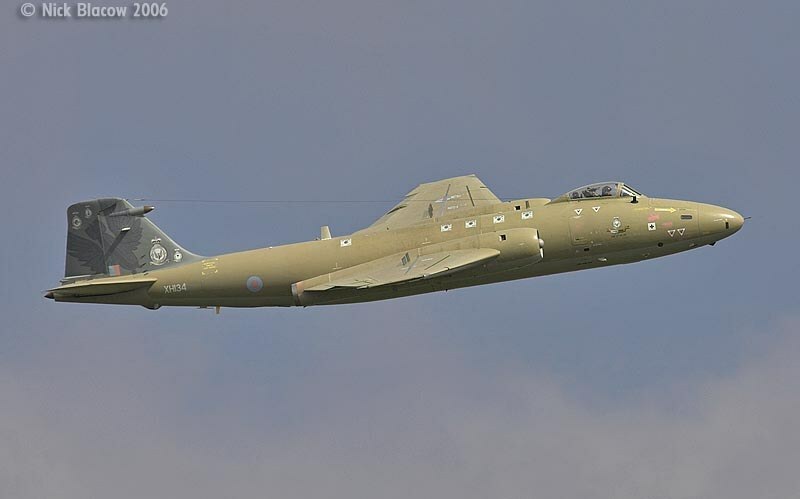 XH131 - Sqn Ldr Dave Piper/Wg Cdr Clive Mitchell. XH134 - Flt Lt Ronnie Fairbrother/Sqn Ldr Garry Winwright. 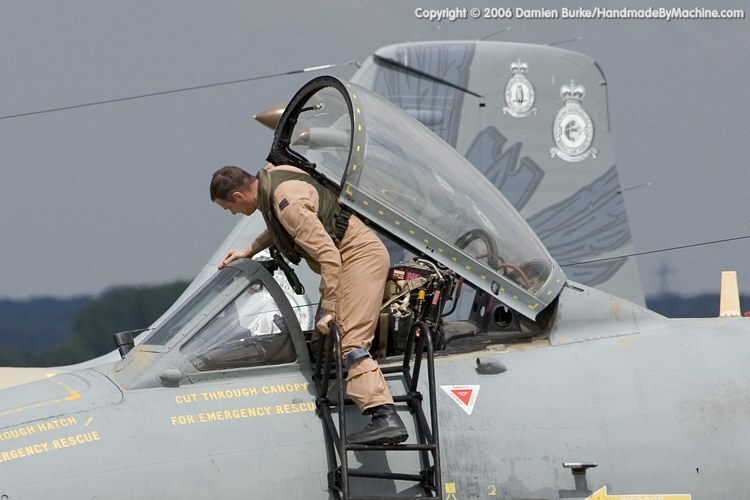 XH135 - Flt Lt Ernie Taylor/Sqn Ldr Kim Smith. 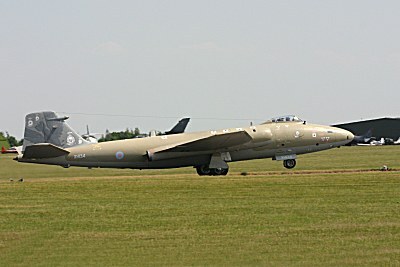 Kemble, Last Touchdown In RAF Service. Since its first flight on 13 May 1949, a total of 1,376 Canberras have been built worldwide. 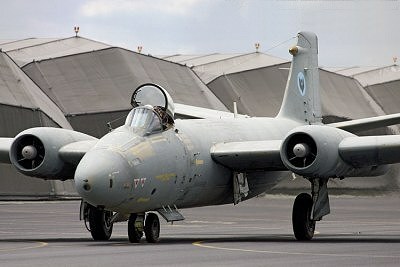 Of these 925 were built in the UK, 48 under licence by Australia and 403 under licence by the USA - the Martin B-57. 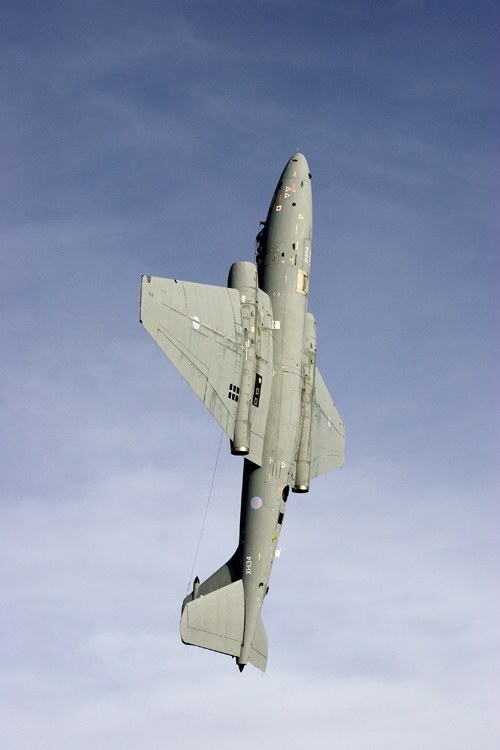 Of the 925 built in the UK, nine were prototypes, 143 were built for export and 773 were built for the RAF. 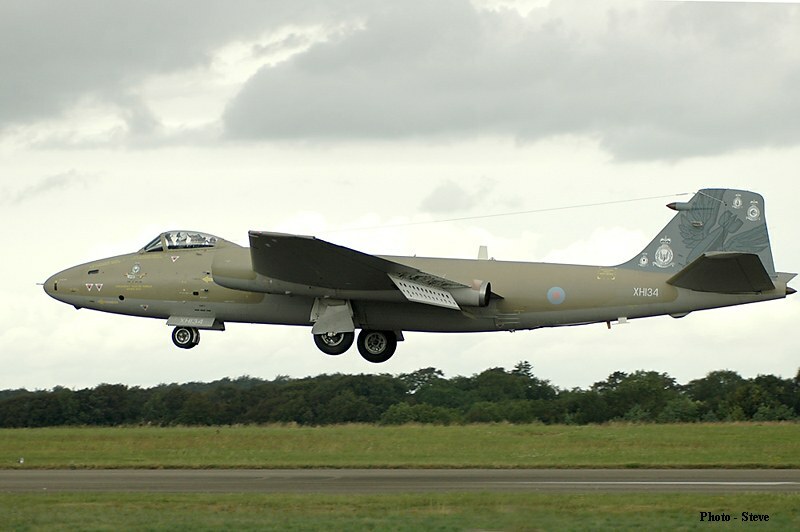 Roland "Bee" Beamont delivered Canberra B.2, WD936, to 101 Sqn at RAF Binbrook on 25 May 1951, the first of 773 Canberras to come into service. 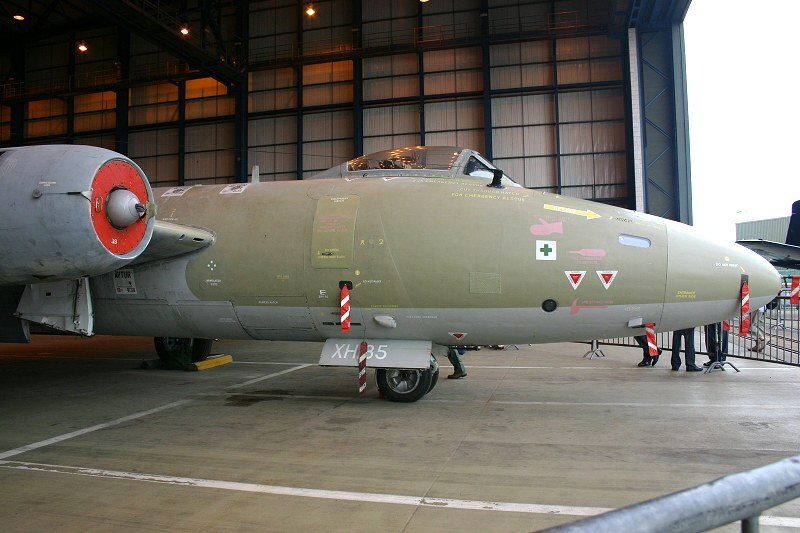 In the ensuing years the RAF built up Britain's first jet bomber into a grand total of 62 squadrons. It must have been difficult if not to say a life changing experience for RAF aircrews to transition from 4-engined heavy bombers, such as the Avro Lincolns and B-29 Washingtons, to an aircraft with the perfomance and agility of a fighter. 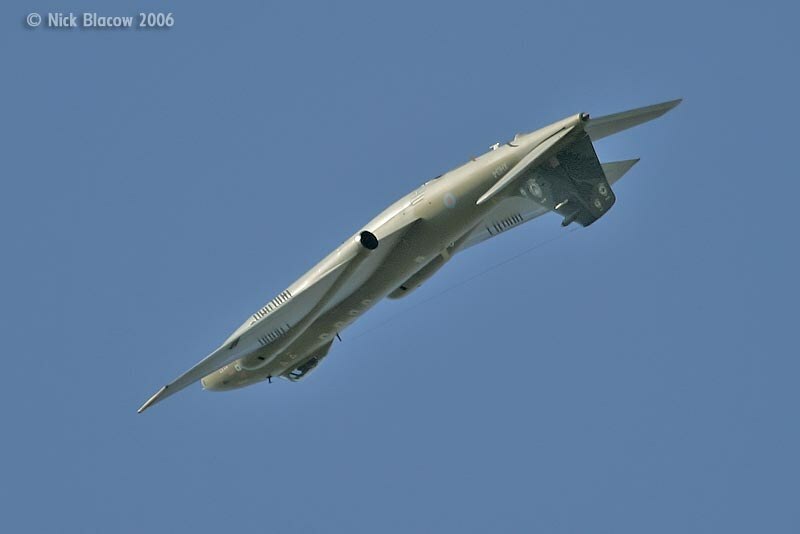 A 'bomber' aircraft that could out-perfom just about any other contemporary military aircraft. But it happened, not without some pain though. 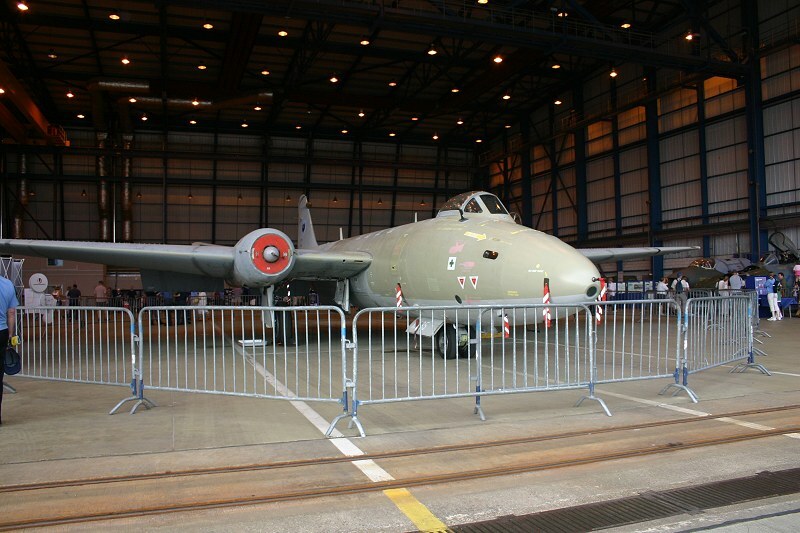 Although designed as a jet bomber, it was soon obvious that the Canberra was a very versitile and stable airframe. 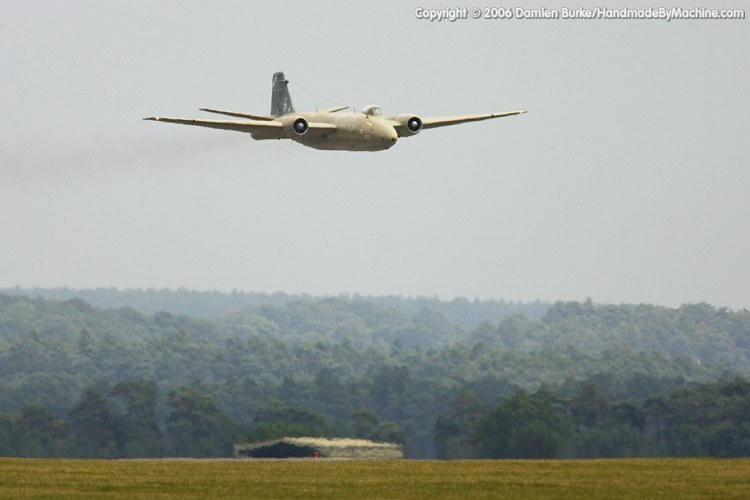 Accordingly, in the March of 1949, a contract for a Photo Reconnaissance version was placed, this was to be the PR.3. The success of the PR version led quickly to the introduction of the PR.7 (and later the PR.9). It was the PR.7 version however that became ubiquitous in the RAF. 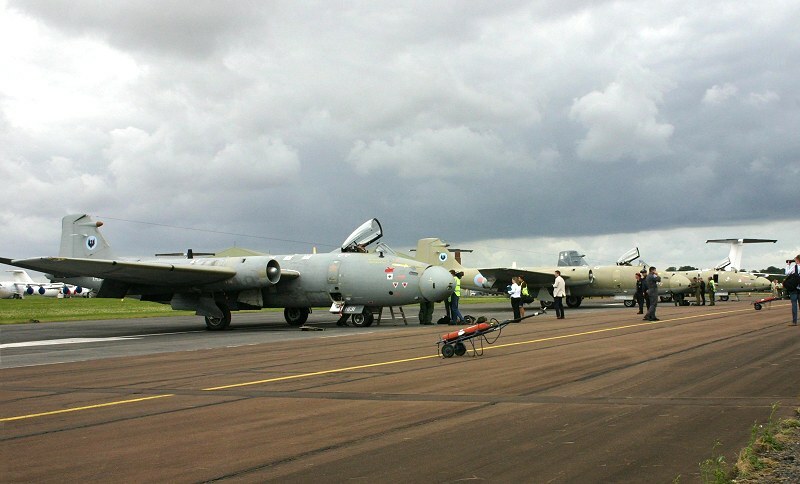 It was said that, world-wide, there wasn't an airfield that hadn't been visited by a Canberra PR.7 at some time as the RAF's PR squadrons travelled the world on good-will tours, exercises, lone-rangers and detachments. 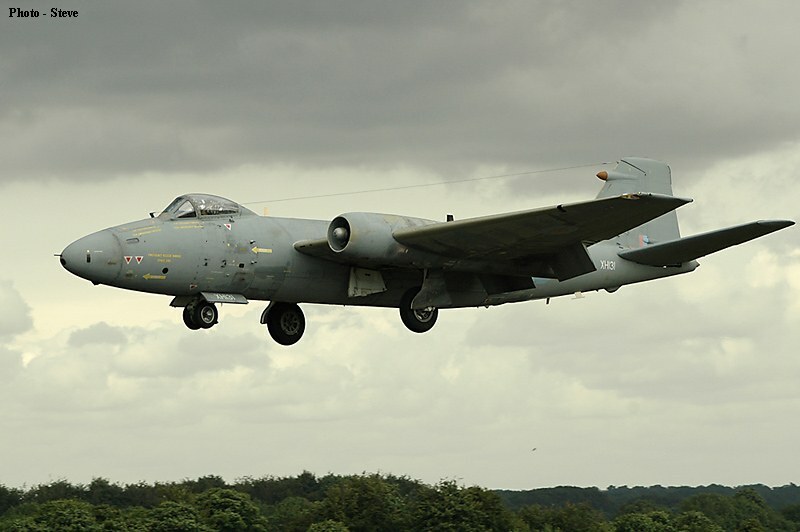 Over the years, many versions of the Canberra have been flown by the RAF and MoD or civilian aviation and research bodies. Never has a single aircraft type been so suited to the multiple tasks and roles demanded of it, especially as over the years the basic design remained unchanged. 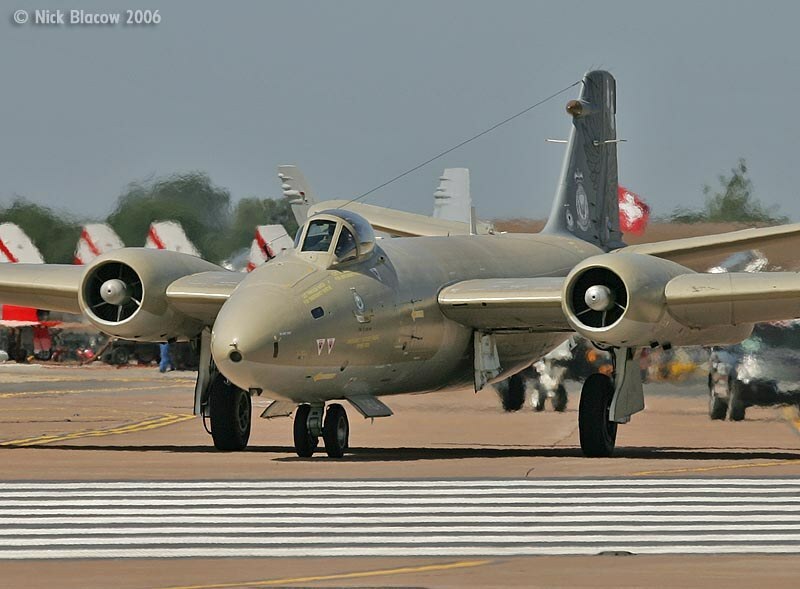 Over its lifetime, whatever role the airframe was required to undertake, from nuclear bomber to target-tug it was still recognisably a Canberra. 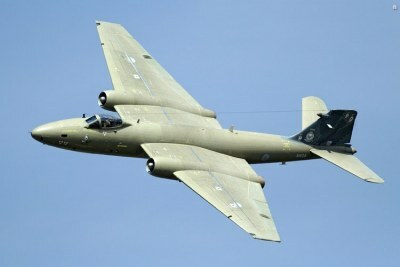 During its 55 years in service, thousands of people have worked on or flown the EE Canberra. 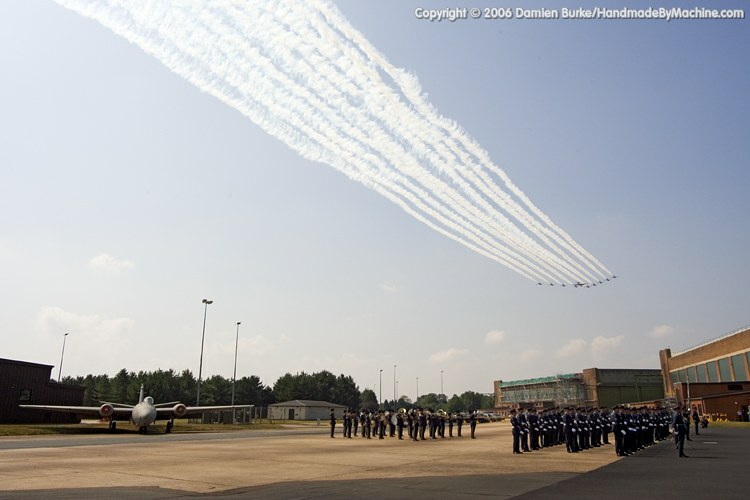 Several have paid the ultimate price too - always too many. 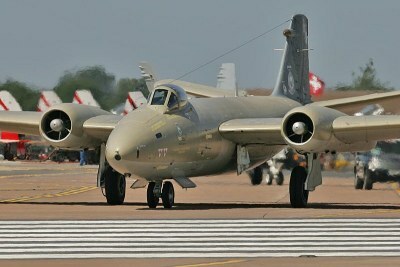 The Canberra has also seen active service in such conflicts as Suez, Malaya/Borneo and, with the Indian Air Force, the Congo and the Indo/ Pakistan war. 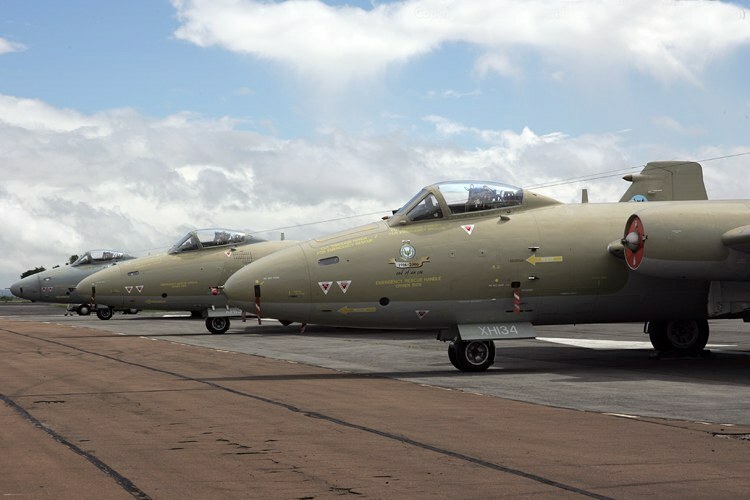 In the Falkland Islands too (Argentinian Air Force) as well as Bosnia, the Balkans and most recently Afghanistan and Iraq. 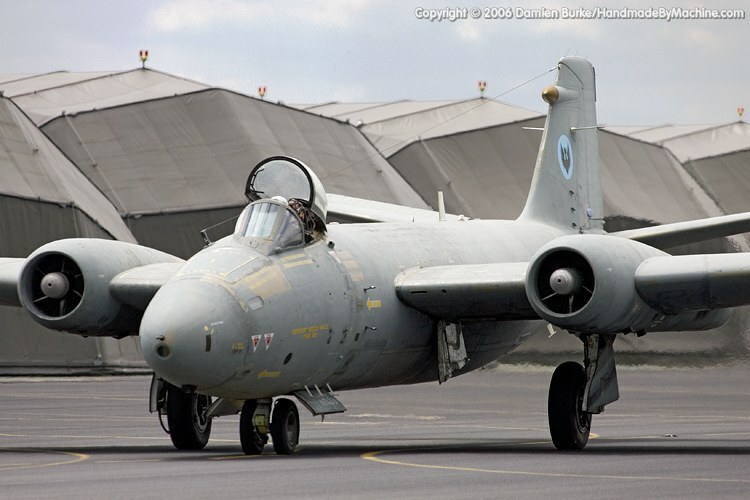 The Canberra's early years on a covert "spy" missions should also be mentioned (but quietly). 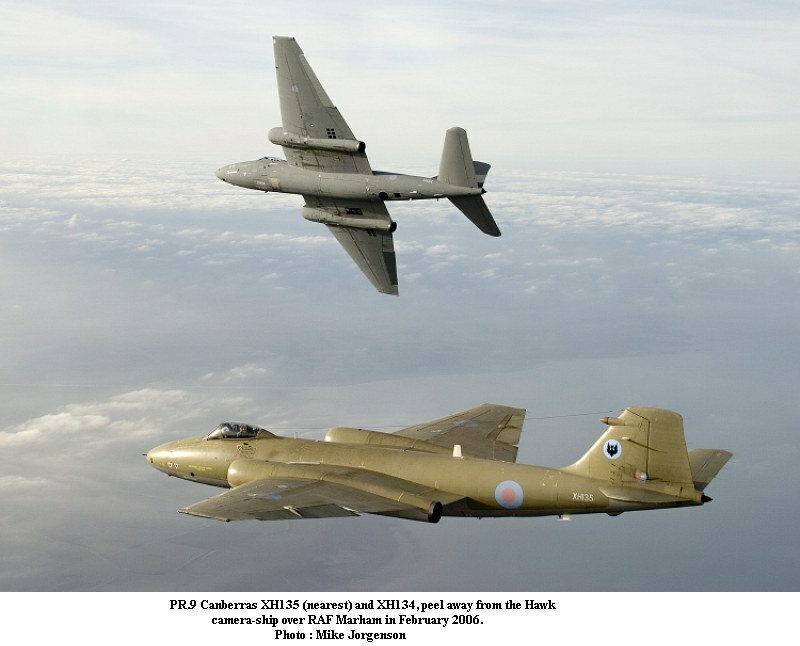 But for all that, the Canberra will, I think, be remembered fondly by thousands who knew it, not only current and ex-RAF people but world-wide. 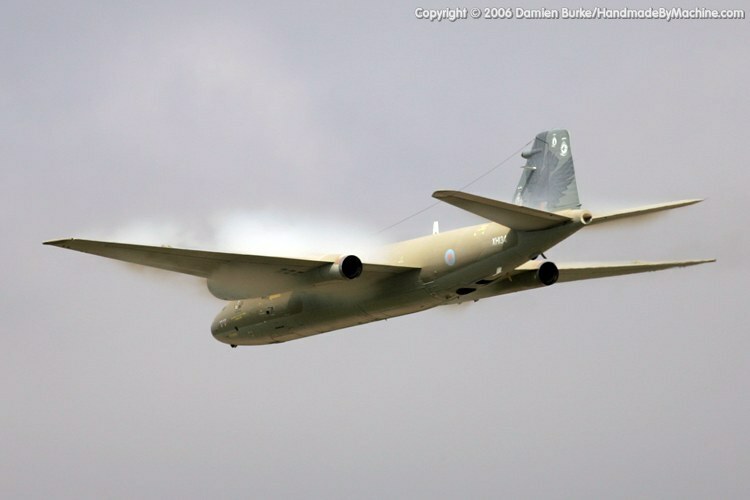 Thousands if not millions of words have been written about the Canberra - a few of them on this website - so I'm not going into any further detail here. Similarly thousands of photographs have been taken of the Canberra over its time in service particularly over the last couple of months or so, maybe millions of digital images. 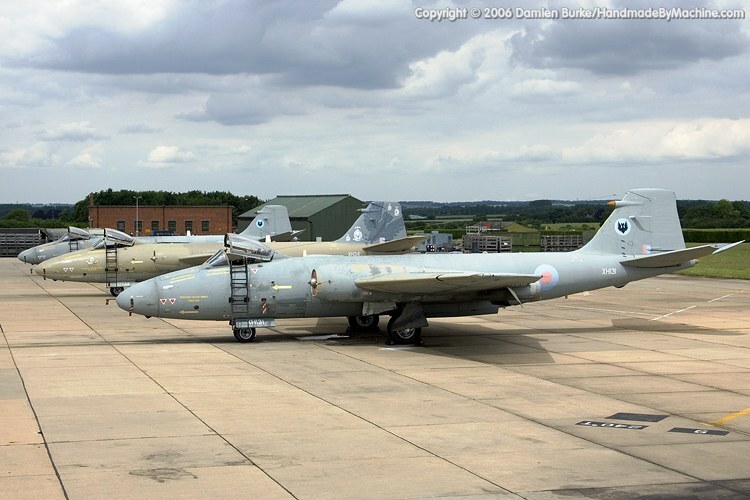 For this "End of an Era" page though I think it is fitting just to show a small gallery of images of the last three flyable PR.9s in their final days. Sad days? No, not really. 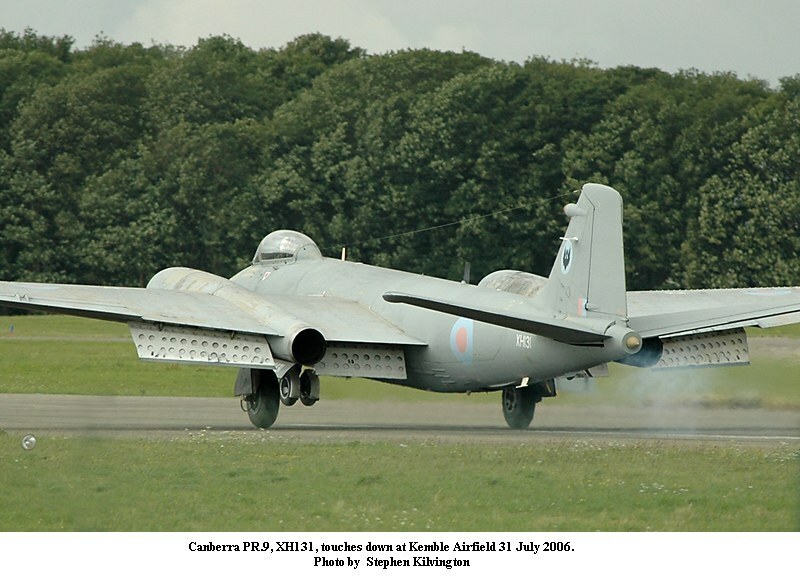 The Canberra has had a good run but is now technologically out-of-date. 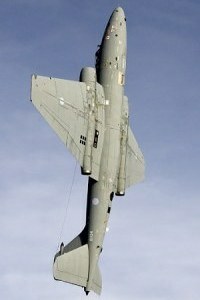 Its capability however will be sorely missed by mission planners the world over. 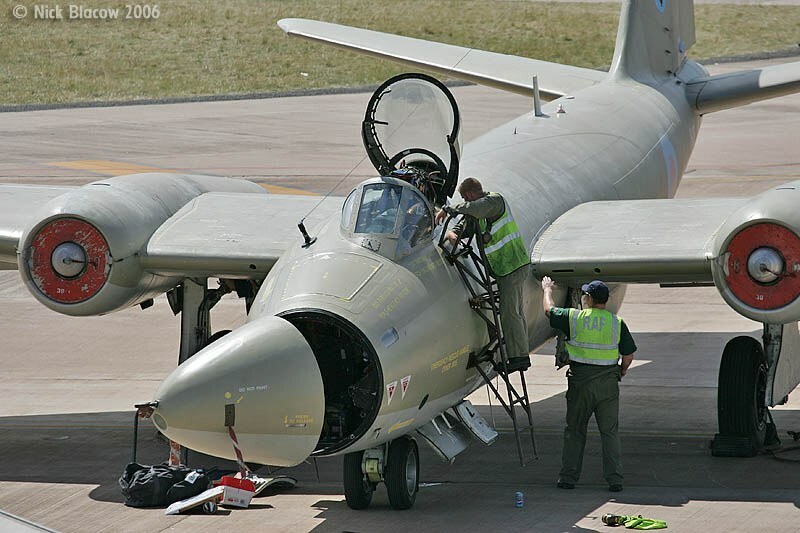 This singular capability has, strangely, not been replaced by the MoD for the RAF. And yet there is a certain kind of sadness though, of the nostalgic kind. 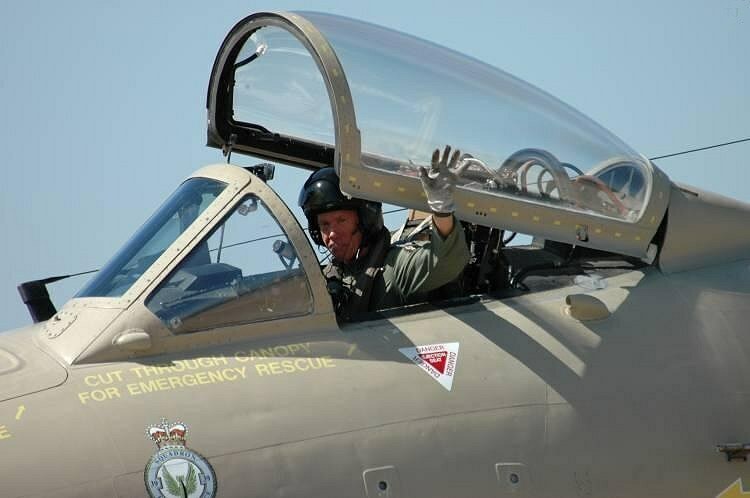 This 'sadness' is for the past-times of the Canberra. 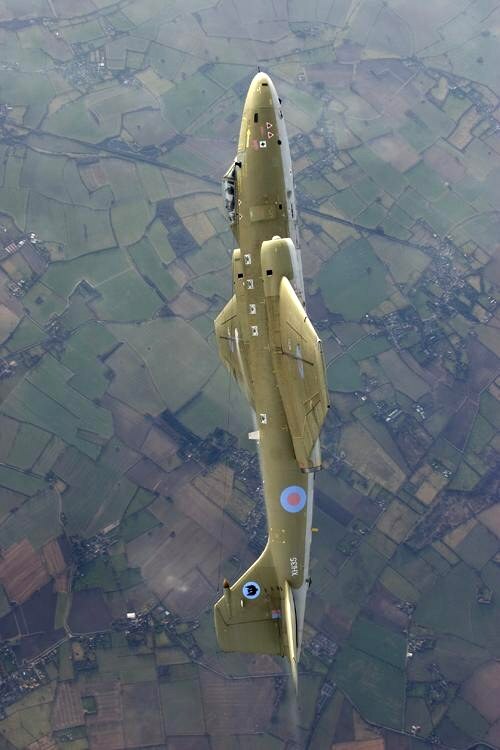 Those days of yore when we were all much younger (and fitter), taking our place in an aircraft-rich RAF with other characters, whose attitude, resilience and humour made the Cold War era bearable . 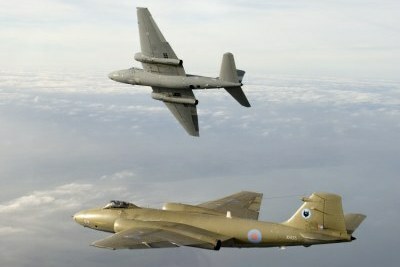 . . that, and the clarity of those days when we knew who the 'enemy' was. 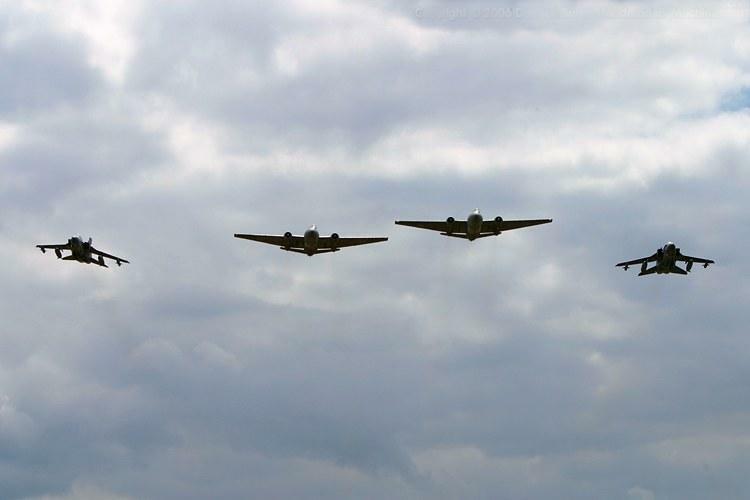 For myself I recall the Nuclear QRAs in Germany, the covert flights of 51 Sqn, the overall simplistic build of the beast and much, much more. 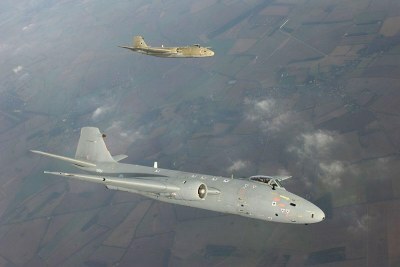 But mostly I feel proud to have been a small part of the EE Canberra's life and times in the RAF. 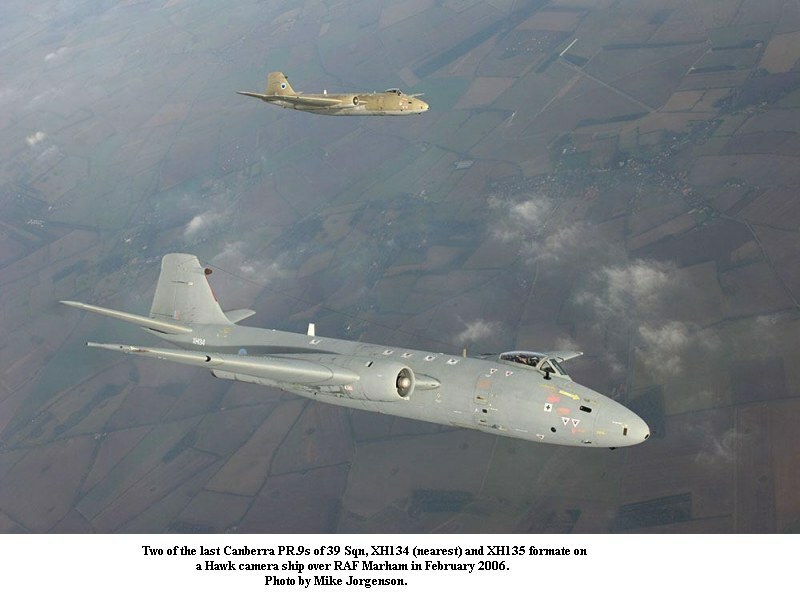 A selection of images taken during the Canberras' last few months of service by various servicemen and enthusiasts. 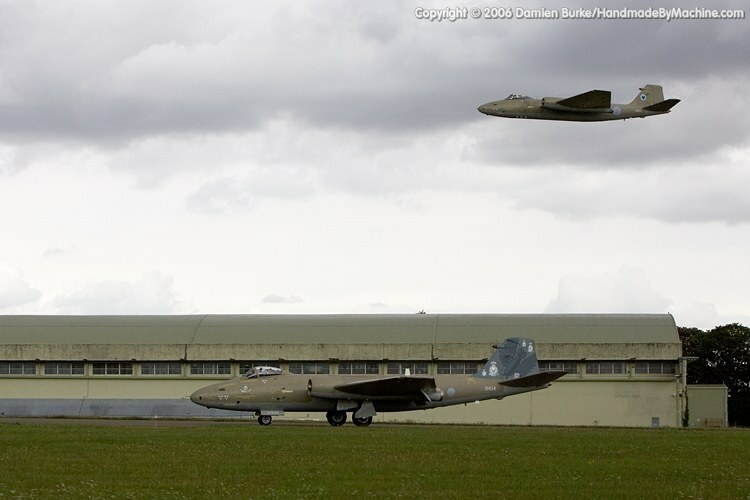 Returning from the last ever Canberra operational missions two PR.9s arrive overhead RAF Marham escorted by Tornados. XH131 taxis in on return from its last operational mission. 39 Sqn's special fin paint job commenorating the end of the squadron and the end of the PR.9. 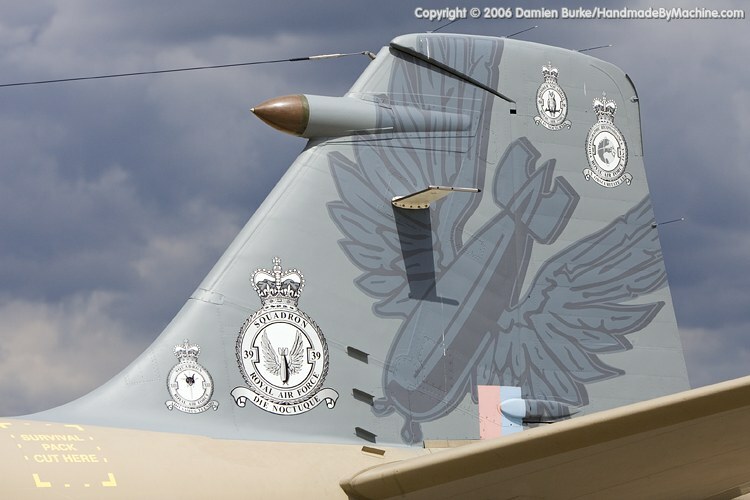 The squadron badges of all previous PR.9 owners are shown superimposed on 39 Sqn's "Flying Bomb". Badges are (bottom left) - 13 Sqn (small badge) and 39 Sqn. Top right, 58 Sqn (small badge) and 1 PRU. Red Arrows fly past accompanied by a single Canberra PR.9 to honour 39 Sqn's disbandment parade at RAF Marham. 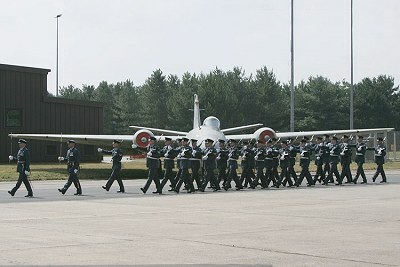 The men of 39 Sqn march off past XH131 at the end of the squadron's disbandment parade, RAF Marham. Looking well-used after its last operational mission XH135 sits on public display at RAF Waddington Air Show. 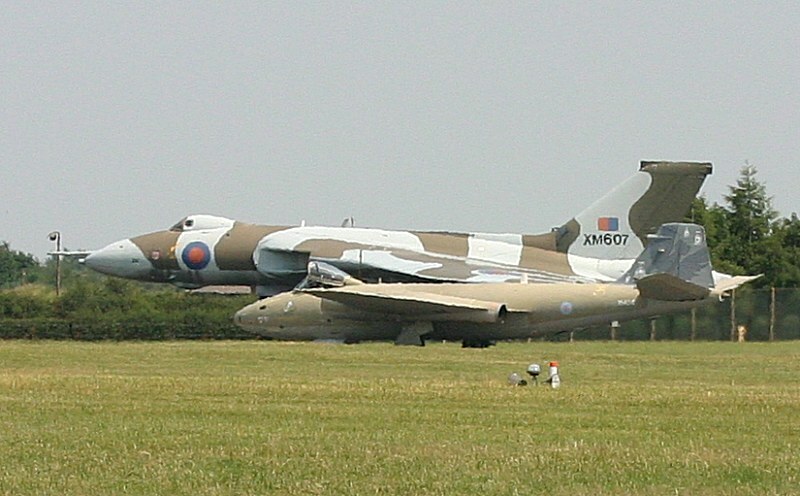 Closer view showing the weather/flight worn fading of one colour scheme (hemp) into the other (grey). 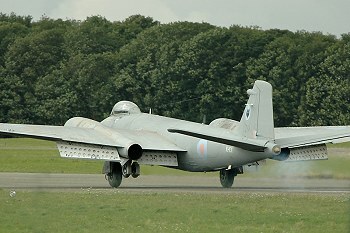 XH134 lifts off at the start of its display. Ground crew preparing XH135 at RAF Fairford, RIAT, Air Display. A condensation cloud surrounds XH134's port wing on a fast fly-by. 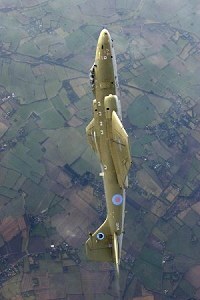 Sqn Ldr Terry Cairns takes XH134 over the top during a brilliant display. A fine shot of XH134 during the display. 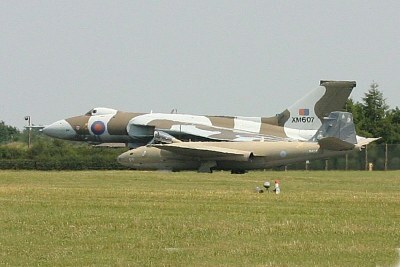 XH134 taxis back past a crowded flight line after its display. Sqn Ldr Terry Cairns acknowledges the crowd after his display. 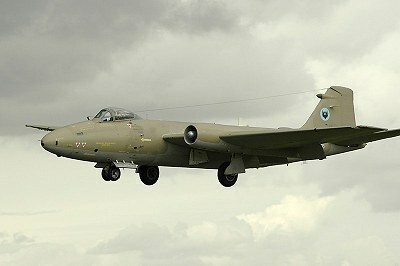 On a murky day, Canberra PR.9, XH134, arrives over Kemble Airfield. 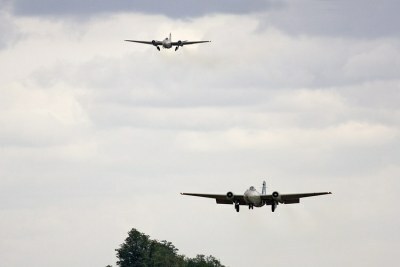 During an impromptu display, XH134 scorches over the boundry on a low, fast fly-past. 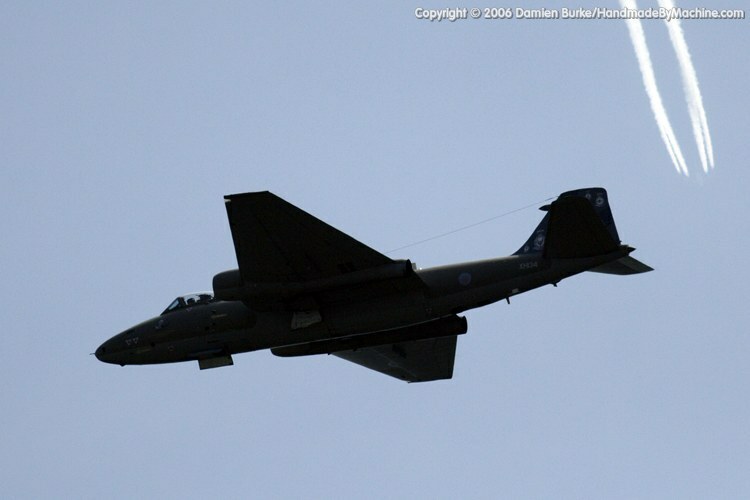 XH135 follows XH134 in the landing pattern . . .
. . . but cleans up and overflies XH134's landing. 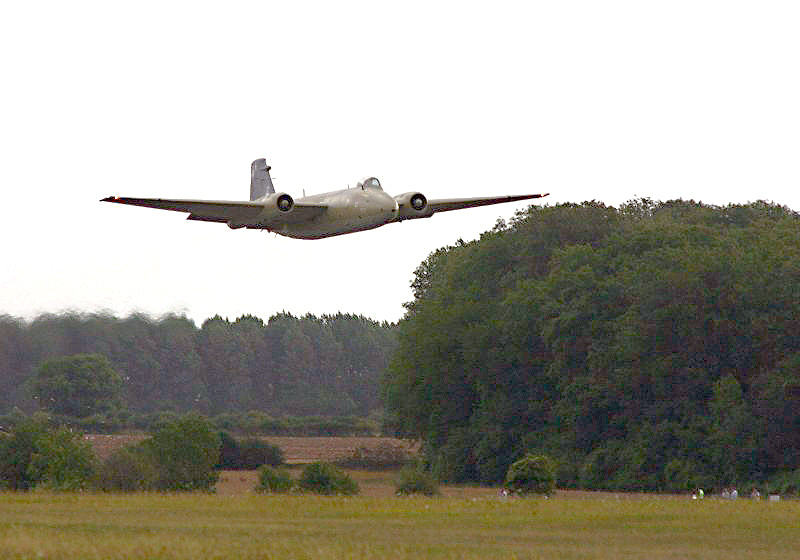 XH134 landing at Kemble Airfield. 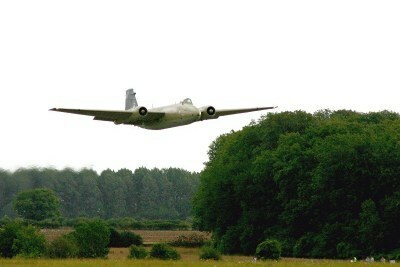 XH135 landing at Kemble Airfield. 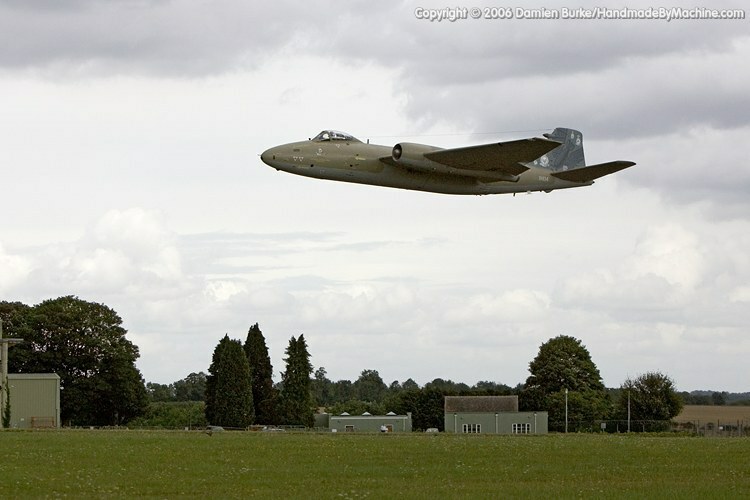 XH131 landing at Kemble Airfield. 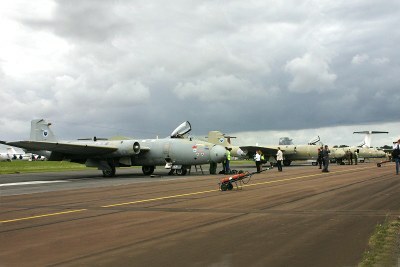 The three PR.9s finally on the line and at rest on Kemble's lazy runway. 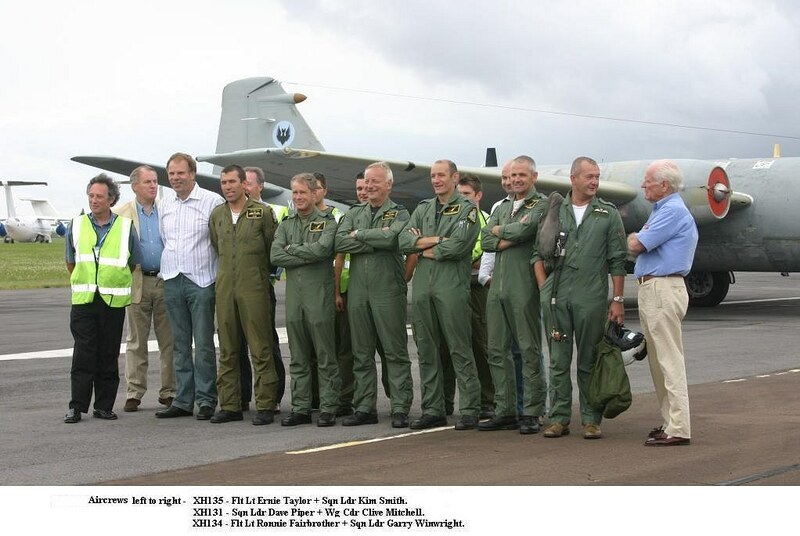 Received by and handed over to Delta Jets crews on behalf of Falcon Aviation. 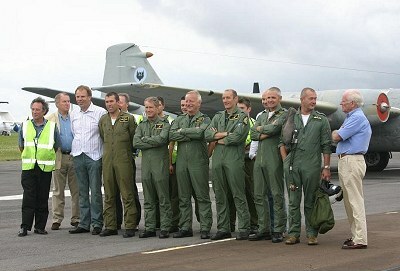 The 39 Sqn aircrews and the new owners. Waiting in the sun for their new owners the three PR.9s will be maintained at Kemble by Delta Jets in an accomodation arranged by Falcon Aviation.